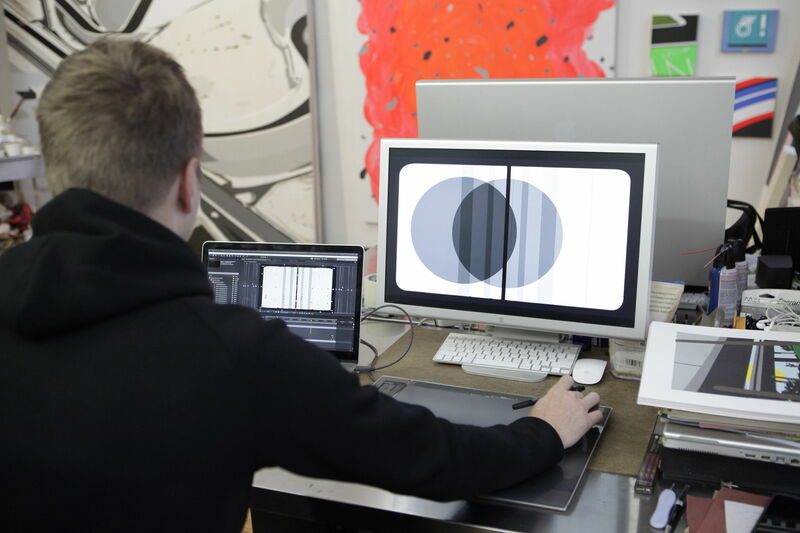 We visited Brian Alfred in his studio in Brooklyn to discuss the launch of his brand new digital edition Under Thunder and Fluorescent Lights on Sedition, and his latest solo show Ameringer McEnery Yohe gallery in New York on now until 14 March 2015. The title of the show, It Takes A Million Years To Become Diamonds So Let’s All Just Burn Like Coal Until The Sky Is Black is taken from the title of a song by indie band Storm & Stress who also composed the soundtrack for his new work. The animated piece, Under Thunder and Fluorescent Lights was recently displayed on a large outdoor screen during Art Basel Miami's film programme in December 2014. Watch the interview with the artist below. Brian Alfred will be joining us for a live Twitter Q&A on Wednesday, 11 February 2015 from 5-6pm GMT (12-1pm EST). Tweet your questions to #AskBrianAlfred and we’ll ask them live on the day. Follow @Seditionart and @BrianAlfred and ask a question.